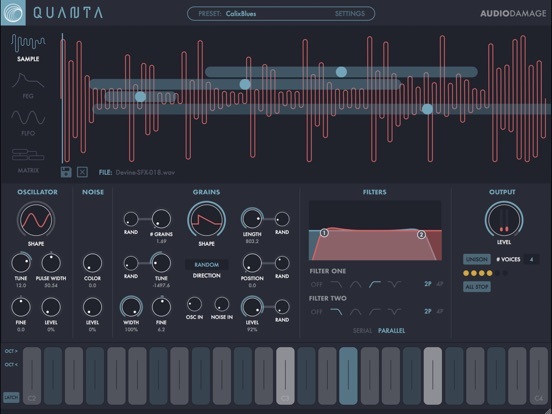 Quanta Granular Synth, from Audio Damage, Inc., was updated with support for .TUN tuning files. These can be used to explore microtunings and other odd tunings. There are a lot of programs that let you create your own tuning files; including Scale Workshop, a free web app that lets you export tunings in a variety of formats. >> TUN file loading added to AUv3 version. >> Fixed the MPE pitch bend override function so it does its one job correctly. >> Rebuilt with all current SDKs and libraries.